Frank Reilly was the subject of one of Step-by-Step magazine's 'Masters' series articles back in 2001. Author Kent Steine tells us in that article that, "Reilly was born in New York City on August 21, 1906. By the time he enrolled at The Art Students League the Golden Age of American illustration had come to an end and many of the great artists of the 19th century had dissappeared from the illustration forefront." 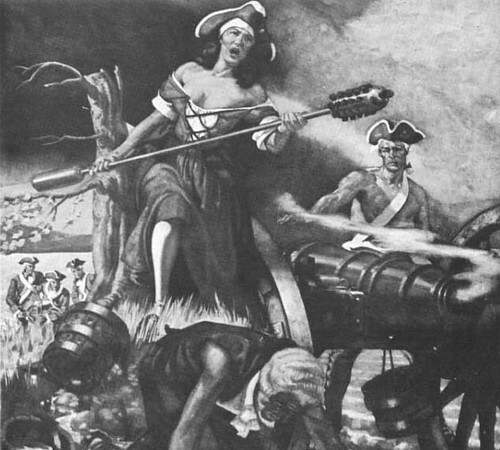 "However," continues Steine, "a few of the great artist were still working and passing on the knowledge and traditions of their craft, and Reilly was fortunate to benefit from the expreience and expertise of such notable illustrators as Howard Pyle, Frank Vincent Dumond, and Harvey Dunn." "After graduating from the League, the artist had no shortage of illustration assignments." 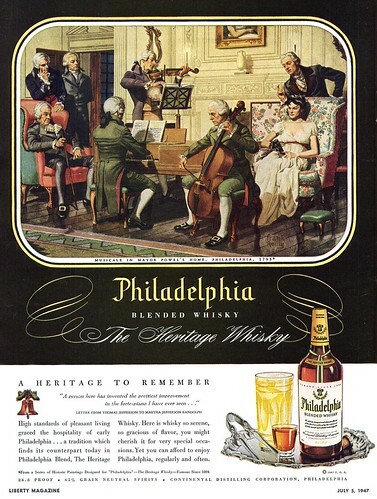 Steine tells us that Reilly loved researching and rendering historical details with great accuracy, and that these ads above and below for Philadelphia Whiskey (two out of a series of 12 paintings) were among some of his favourite commissions. 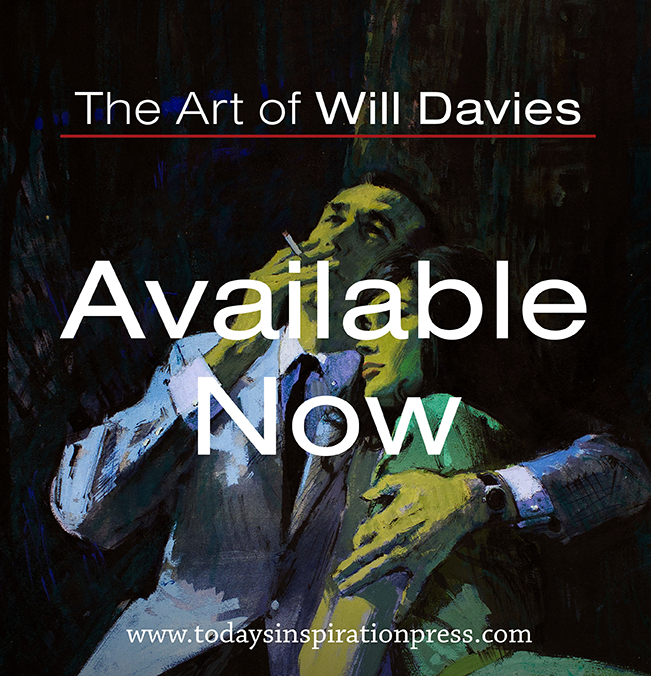 Besides providing illustrations for advertising, magazine covers and stories, Reilly worked as an assistant to Dean Cornwell on several mural projects which, Kent Steine writes, "gave him the opportunity to explore his creative and technical abilities." Reilly went on to create a 63 - foot mosaic mural for the Bronx High School of Science. For those interested in learning about Frank Reilly in greater detail, there is a very thorough biography at American Art Archives. *My thanks to Tom Palmer for providing all the material for this week's topic. I really love these historical illos by Reilly. 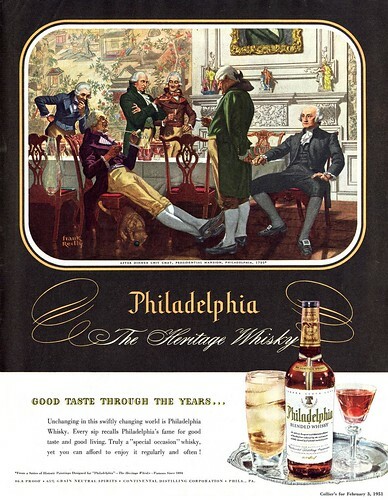 Since the 50's, American history illustrations for ads and editorial art has pretty much disappeared. It's no longer a subject of interest for most Americans, at least not in the traditional sense. In my opinion, this subject matter is total creativity for the illustrator... creating the situation, creating the composition, creating the gestures, creating the expressions, creating the characters, creating the costumes, creating the props, creating the lighting, creating the color scheme and then it has to be rendered convincingly to create the feeling of that period. Reilly was one of the best at developing a convincing historical scene with authentic accuracy and flawless draftsmanship. This man had a grasp on composition - every- and anything is married, a tree to a shoulder, a limb to a surrounding, a horizon to a countenance, whatever. Creating the situation, creating the gestures, creating....creating.. Hats off to this master!